I slowed down this year because there were things I needed to get done, needed to write and needed to contemplate. That means I didn’t see all the theatre I wanted to see or all the films I wanted to see. On TV, I loved Hannibal and Broadchurch and how Fringe ended and how Game of Thrones threw a wedding and House of Cards and Arrested Development’s odd fourth season. I really liked the Americans and thought Mad Men’s sixth season was really impressive, especially by the end. I saw Breaking Bad, but didn’t love it the same way so many people loved it. Justified wasn’t as great as it used to be, but still fun. Homeland went completely off the rails. And Doctor Who just isn’t the same anymore. At the cinema, Before Midnight was almost perfection and Gravity was exquisite. World War Z was suprisingly good. Iron Man 3 was an excellent follow up to The Avengers. Thor 2 was just fun. Star Trek Into Darkness and Elysium were disappointments. Frozen was just delightful. And, given local release dates, Life of Pi was one of my favourites of 2013, too. Much Ado About Nothing was also a delight. And, oh yeah, Catching Fire was amazing! American Hustle, as well. 2012 was probably my favourite year, so 2013 was going to have a tough time living up to it. Some years you just have to slow down, look around and plan for the year ahead. I can’t always keep barrelling into new things; I want to plan things and make them the best I can. No point making things that aren’t the best they can be. Yes, yes. That whole list is compiled from a year where I slowed down. Wait for 2014, when I pick up speed and go for broke. Happy 2014 to all my readers! This year I saw shows in Melbourne and Sydney. The Top Ten are my favourite shows of the year, but the Next Ten are basically all in eleventh place. 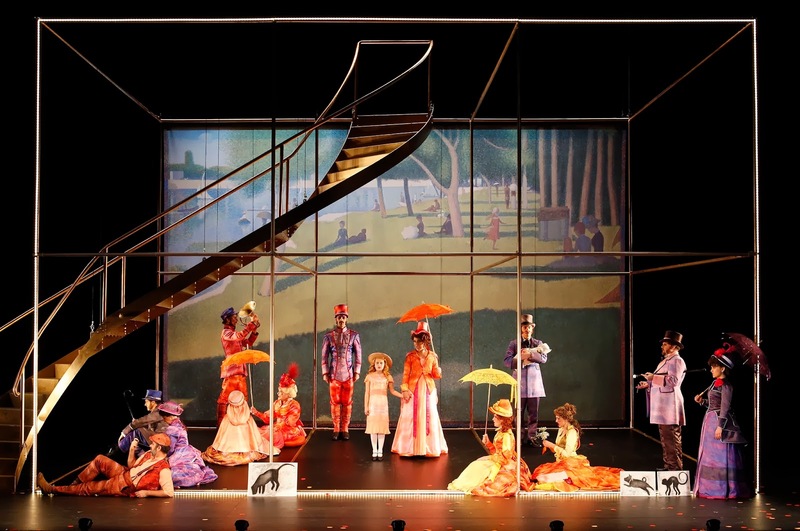 After a slow start to the year, the Melbourne Theatre Company’s NEON Festival kicked things into high gear – and after that, the rest of the year was full of exciting, imaginative, passionate and memorable theatre. The classic American play about AIDS in Reagan’s America in a stunning production at Belvoir. 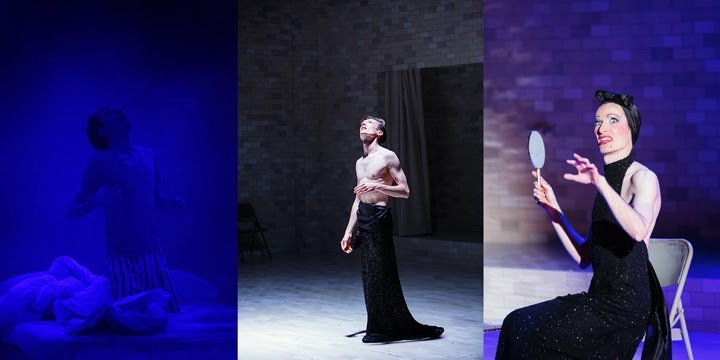 Hayloft shakes up Oedipus in this smart triptych. A ten-hour epic that played out in the Playhouse, bringing an audience of 600 together to experience a life (and their own lives) in a way we’ll never forget. It’s difficult to put into words how beautiful this show was, not to mention how moving and intelligent, passionate and insightful. Theatrical perfection. Sometimes, all you need, is one woman on stage playing a couple of dozen characters. A tour-de-force. And sometimes you need a maze of rooms and corridors and a strong company to lead you through their unforgettable take on Oscar Wilde’s The Picture of Dorian Gray. Patricia Cornelius’ poetic and penetrating and powerful examination of masculinity and misogyny. A masterful stage adaptation of Angela Carter’s short story. Theatre making at the absolute top of its game. Benedict Andrews. Andrew Upton. Cate Blanchett. Isabelle Huppert. Elizabeth Debicki. Jean Genet’s The Maids. Seriously, what else needs to be said? Black comic perfection. Declan Greene and Ash Flander’s bring their unique sensibility to an epic story of Australia. A fitting end to the Neon Festival, with a few digs at conservative theatre companies for good measure. Hilarious and biting. 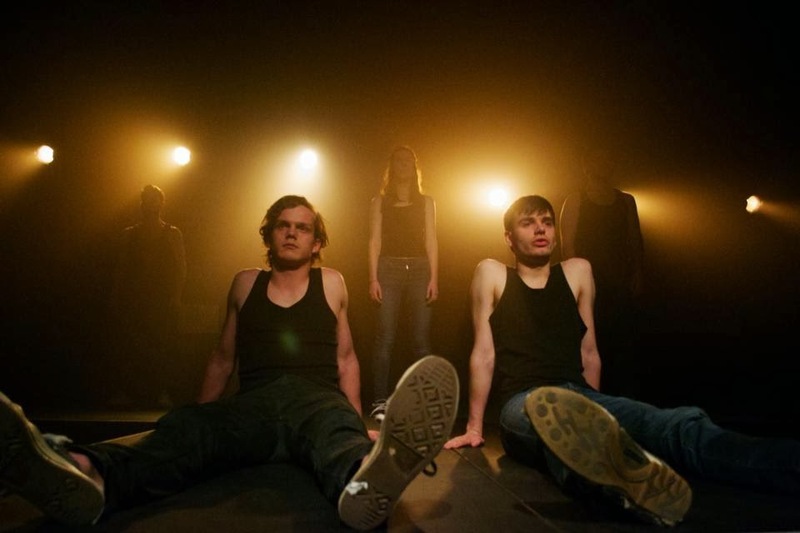 Daniel Lammin’s devised and verbatim meditation on the Columbine massacre. Sharp and devastating. Sometimes life turns on the words you choose to say and those left unspoken. 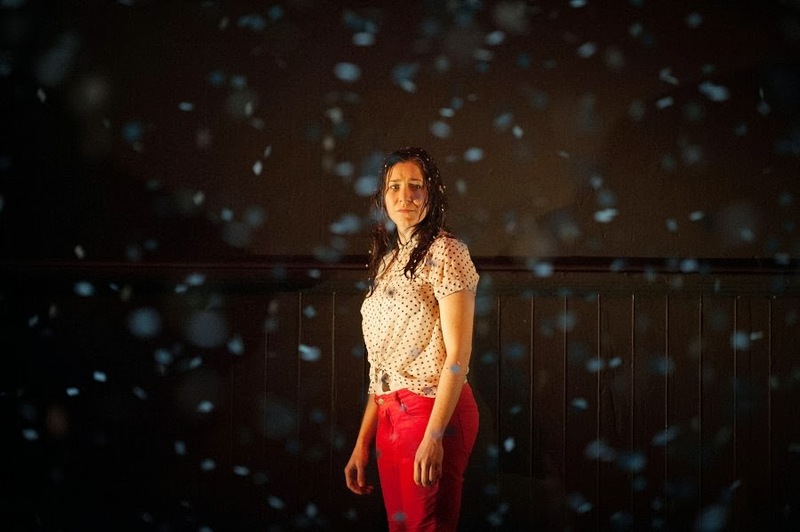 Parallel universes and a performance for the ages from Alison Bell. A tribute to Tennessee William’s work and creative process. Brilliant and untamed. An almost silent meditation on youth, puberty and the traps of a rote education. Three tragic monologues that take three different points of view on the American invasion of Iraq. Performances and direction, magic. By every right, a stage adaptation of the film Persona should not work. Adena Jacobs pulls off the impossible. A lovely little surprise at the Melbourne Theatre Company, that didn’t need star power to pull it off. Southern melodrama was never so hilarious. What a cast. What a script. What a crocheted set! Sondheim’s masterpiece on the creative process is precise and delicate and very moving. Simon Stone is let loose at the Melbourne Theatre Company and while the arguments about adaptations continued around him, this show proved what a smart theatre maker he is. Note: Before you ask, I didn’t see The Rabble’s Story of O at the Neon Festival. Probably my biggest regret of the year. I also didn’t see much at Melbourne Fringe, but that was around the time I needed a break. 2013 was always supposed to be a planning year. A writing year. I wasn’t going to put on any shows in Melbourne. I was going to write a lot and aim to get work on in 2014 and beyond. The biggest project this year was “Who Are You Supposed To Be” for the Edinburgh Fringe. That was on the cards from late 2012, but even from a distance it felt like as much work as putting on a show here. It had to be written. Then Jen had to find a director and another actor. And I wrote press releases and sent them all over the place – trying to get publicity and critics to the show. Being a Doctor Who-themed show, the publicity almost generated itself. 50th Anniversary. Change of actor announcement. And the director and other actor we found were perfect for the show. Then the gang put the show on in London in November for a short season and it sold really well. And more great feedback from our audiences. It’s weird that I didn’t see the show, but then that happened quite a bit this year. Short & Sweet Sydney. Short & Sweet Townsville. The University of Western Michigan’s Directors’ Festival. 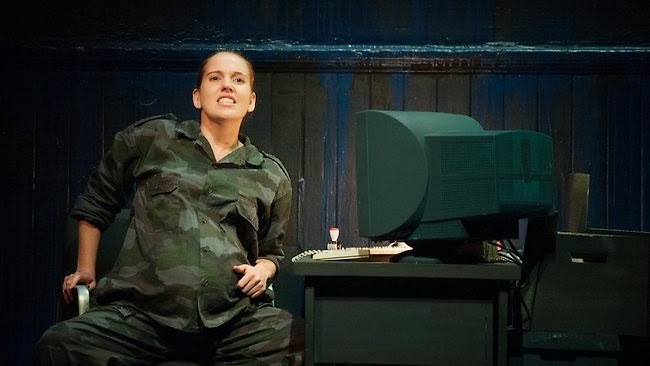 The only production of a play of mine in Melbourne was “About Time”, which popped up at Melbourne Fringe as part of the Bite Sized Theatre series at Broken Mirror. I did have two readings here, both at the Owl & Pussycat – a development reading of “Who Are You Supposed To Be” and as part of Cold Readings, the first public read of “A Modern Superwoman”. “A Modern Superwoman” also went to Adelaide for five.point.one’s Reading Sessions. And I went over for that. Development of “A Modern Superwoman” is nearly two years old now, though the story dates back a long time. 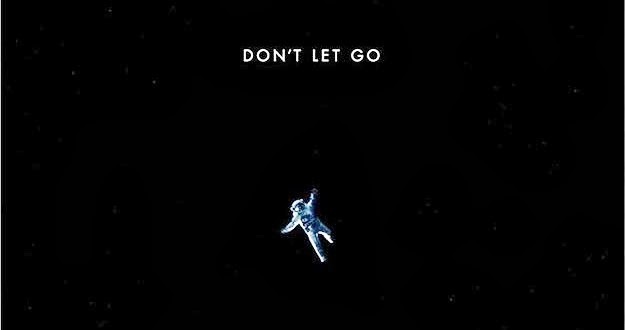 And I’ve recently secured a director to direct its premiere production... in 2015. When you want to work with the best, sometimes you have to wait. And I’m happy to wait. But in the meantime, we’ll use 2014 to make the play as good as it can be – and try to get some development funds to work with the dream cast we’re hoping to put together. The other project I’ve been working on is a film script. One of my goals for this year was to write/develop/make a short film. Which reminds me, I’m actually working on two film scripts at the moment – a short film version of a short play of mine (that’s never been made) and a feature film script. I’m always hesitant to talk about works-in-progress, especially when scripts are in flux and you never know what projects are going to go and which ones are going to stall. I’m pretty confident both of the film scripts are in good hands. Making a short film (which I’ve done in the past, but only as part of the 48 Hour Film contest) was for me to have a project I could show to the world. Theatre shows close. Filming them doesn’t replicate the experience. And a short film seemed like a reasonable way to accomplish what I wanted. I’ve been hesitant to spend time writing a feature film script, because I spent a lot of my twenties doing that – only to have it not lead anywhere. Plus, if I write a play, I can stage it myself if I have to. Films take a lot more time. And having not written a feature length screenplay in a while, the process of writing it is a lot harder. Not that my plays don’t torture me sometimes, but this screenplay was tough. But, first draft done. And I like re-writing a lot more than I like writing. I was approached to write this feature by a producer friend of mine, who had a director friend that was looking for a new project. They approached me with a concept and then allowed me to take that away and add in elements that would make it feel more like a project I wanted to write. Not that I didn’t love the concept of what they came to me with, but it took some thinking about. We worked on the story together – originally it was only going to be a short, but after I wrote up the treatment it was a lot longer than a short. And then we decided to make it a feature and we discussed how to flesh out the concept. And then I had two months to write draft one. Having outlined the whole film, which is something I don’t tend to do on projects I initiate myself, the writing of the first draft was relatively fun and easy. But it seemed to get harder as it went along, just simply because a film is so different to a stage play – and the genre of this piece is wildly different from anything I’ve written before. But I love a challenge. First draft is done and emailed to producer and director tonight. I await their notes. 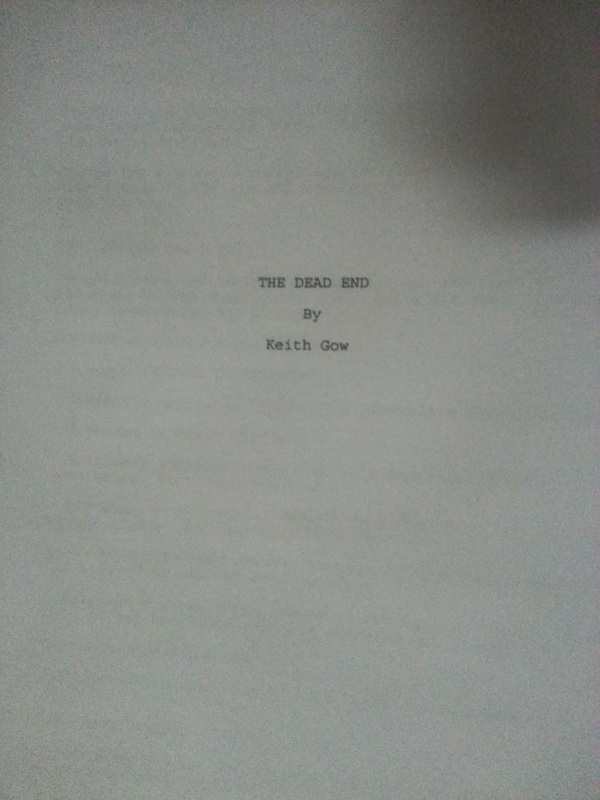 The working title is “The Dead End” – but that’s all I want to say about that right now. And while I’m waiting to develop “A Modern Superwoman” and re-writing “The Dead End”, I’ve started to develop a new immersive theatre work with my old theatre producing partner, Wallis Murphy-Munn. That’s been on the drawing boards for a while now, but the idea is starting to click. I’m a bit protective of that project, so I don’t even want to tell you the working title. It’s been a really fulfilling year for me creatively. A lot different from 2012. But I’m always trying to flex different creative muscles and that’s what has been satisfying this year – trying new things and spending time making projects they best they can be before releasing them to the world.